With the support of RBC, Boys and Girls Clubs of Canada delivers a multi-faceted education program called Raise the Grade, aimed at increasing academic skills, high school graduation rates and access to post-secondary education for at-risk youth from a select group of Boys and Girls Clubs across the country. Toronto Kiwanis Boys and Girls Clubs is pleased and proud to be part of RBC Raise the Grade program. 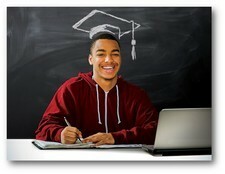 The program gives youth the tools and opportunities to excel in school and go on to become successful and independent. Young people can explore their personal interests and connect with mentors, tutors and friends while enhancing their digital literacy through this after-school program.